I have been thinking about how mobile apps make money. In my post on Friday, I linked to a post from web greybeard Tim Bray who lamented that no one in the development community is making much money from mobile apps. I spoke with a Wall Street analyst today, and much of the conversation touched on this topic. Finally, I have to admit that I played a lot of Clash of Clans and Samurai Siege over the holidays. For those not familiar with them, these are two of the highest grossing apps on the iOS App Store. Clash of Clans has been at the top of the list for almost two years now, and is reportedly making over $2 million a day in revenue. Clash of Clans has reached the point where its players get featured in the New York Times. Samurai Siege is a nearly identical copycat instead featuring Japanese-themed art. Both games are free to download, and both are making a lot of money for their respective developers. There is a common misconception outside the industry that mobile app developers are making all their money selling ads. This is not really true anymore. As I have noted in the past, mobile ad revenues are largely about driving installs of other apps. This is a circular business model that has not been doing that well. And as noted, both games are free to download. In general, it is very hard to make money from a mobile app that users have to pay to download. Instead, the leading source of revenue for most apps today is “in-game purchases”, or using real dollars to buy virtual goods. For the games I mentioned, you can buy gems and gold, which you can use to buy fighting units, buildings, or upgrades to both. No one ever says this, but what users are really paying for is time – the more they pay the faster the action in the game. The idea of virtual good makes many people outside of Silicon Valley a bit uncomfortable. The idea of spending actual, physical dollars for some trinket in a game seems to go counter to any notion of work ethics. And there are stories about executives at certain overseas Internet companies who screen out potential employees who actually ‘waste’ money on the games the company produces. That is one, very non-generous interpretation of virtual goods. Another interpretation is that spending $20 on an otherwise free game that you can play for hours (and hours and hours) is not such a bad form of entertainment. I admit to having spent $20 on Clash of Clans over the year that I have played it, on the simple math that it costs $20 to see a movie, so why not spend a little on an app that provides considerably more free-time diversion. Regardless of where you stand on the subject ‘morally’, the truth is that virtual goods are a big business everywhere. They are the prime revenue generators not only for US mobile app developers but also many of China’s Internet giants. This is an entertainment category in its own right, and probably one that rivals global box office receipts. Of course, there are a couple wrinkles. First, where does all that revenue come from? Who is paying for these games? In some cases, a large audience making lots of small payments aggregate up to a large sum. But as the traditional web gaming companies like Zynga have admitted, the reality is that just like in Vegas casinos, the real audience are a small number of ‘whales’. These are the high rollers who spend thousands per game. I have seen data from one gaming company where English is the most common language, but the second most common is Arabic, followed by Russian. Let me spell that out a bit, in communities with lots of people with lots of disposable income, a fair amount goes to virtual goods. We know one developer in the US who has designed a game that cannot be completed without spending $30,000 or $40,000, and they have plenty of customers who pay a lot more than that. In Clash of Clans, which is far more modest, a clear indication of using dollars to advance is to buy walls to protect your village. To buy a complete set of fully upgraded walls would take a decade at the organic harvest rate in the game, but there are clearly plenty of highly-ranked players with a complete set of walls. By our math, that costs $6,428 to achieve, and that is just one thing to buy. A second interesting wrinkle is the extent to which these games’ model is self-defeating. These games are built so that new users can do a lot of things quickly – construct new buildings mobilize armies, etc. But as the game play progresses, everything slows down. It takes me an hour to build my mid-level Clash of Clans army, but only five minutes in my brand-new Samurai Siege game. This is calculated to encourage users to get deep into the game and then spend money to speed things up. However, taken to extremes as you get higher up in the game, the less engaged you actually are in it. I turn on my Clash app once in the morning and check in again mid-day, there is nothing to do in it for long stretches of time. The developer is counting on me caring enough to spend to upgrade, but risking that I lose interest and walk away. One way they counter this is to periodically update the game to introduce new characters or buildings. If you watch this process, you can see the highest ranked players fully upgrade within days of the new update becoming available. On the one hand, this does keep users coming back for more. But with each update, the company runs the risk of users realizing that beyond some point they simply cannot compete with those willing to spend infinite sums. If you want to pick a fight in one of the games discussion forums point this fact out and you can see the intensity of feelings on both sides is very high. These business models have built-in self-destruct mechanisms that need to be managed very carefully. Finally, there are some important dependencies. Mobile app developers depend on the platform providers to deliver in-game purchase mechanisms. That means Apple and Google. On Android, there are a few other payment platforms, but for most users in the world the primary purchase mechanism is through the mobile OS’s built-in payment systems. So Clash of Clans makes. $2.4 million a day, and then sends 30% to Apple or Google. That is a large percentage, but then again the developers would probably have to give as much if not more to physical retailers, if they could even get on the shelves. Nonetheless, game developers rely pretty heavily on the OS providers. Where this becomes really interesting is to think about the potential to expand this model beyond virtual commerce to the purchase of physical goods. This certainly seems to be the way Amazon is headed. So an interesting question for the year is to see if Apple or Google push further down that path as well. 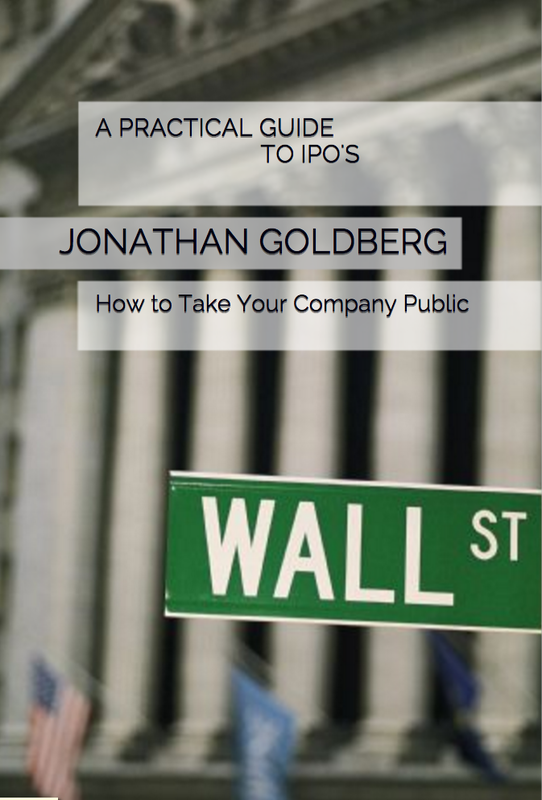 ← A question for the audience – IPOs ?